Home defects can be annoying to deal with and angering when you discover them, you’re painting your new bathroom, and you discover a patch of mould – one of the most common home problems that needs addressing immediately. Why Address Your Common Home Problems? These common home issues are not only in some cases just an eyesore, but they can also be potential health hazards and cause you a lot of problems if you’re trying to sell your home. When trying to sell your home it needs to be the cleanest, and in the best shape, it’s ever been, because it’s going to be incredibly hard to sell any home that looks all scratched and aged from the outside, let alone with any issues on the inside too. So if or when you decide that you want to up and move then you should check that your home doesn’t have any of these common home faults that could stop you from selling up and moving to the property of your dreams. So if you want to find out the most common home problems then keep reading! Unfortunately, cowboy builders and electricians are not an uncommon occurrence, so you need to make sure that you know exactly who you are employing to ensure that this doesn’t happen to you. For more information read our article on how to avoid hiring a cowboy builder. Most builders in Buckingham are trustworthy, but you should always be vigilant for the signs of a cowboy builder. If you have been the victim of a cowboy tradesperson, then you will understand the low quality of the half-finished work that they leave you with – and in some cases, it can be dangerous, so if you have any doubts then you should always have any work checked over by a professional. And if a potential buyer visits your home and goes to flick the light switch and it doesn’t flick on due to faulty work left over by a cowboy electrician then they are not going to be interested as they’re going to have to pay for repairs. The first thing anyone can see when visiting your home is the outside, and they’re going to have an opinion of your home just from looking at the outside. So when having potential buyers round to view your house then it’s important the outside looks in incredible condition. 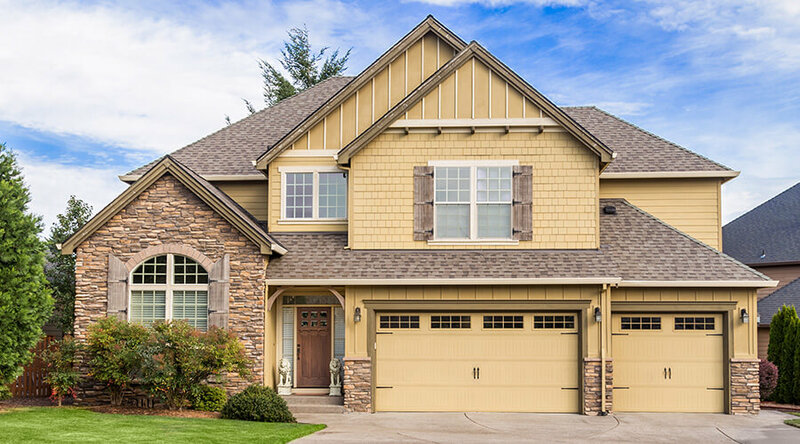 Exterior defects like peeling paint, rust or damp can instantly deter homeowners from even considering your home in their options. Simple touchups on the exterior of your home can emphasis your homeliness and make it look less aged and tiresome. You can easily fix these issues by giving your home a lick of paint to brighten it up and bring it back to life; rust can easily be fixed by scrubbing with either lemon juice, baking powder or vinegar. Not only is this a tremendous steer clear for home buyers but it can also be a huge health risk so you should make sure that you don’t have any potential health hazards within your home. Due to lack of technology, there were a lot fewer health hazards a few years ago as there are now, meaning that these sort of health hazards are only really present in timely homes. So if your home was built before the year 2000, then you may want to have a professional come over and check everything over. All of these are extremely dangerous, and you should take care to ensure that you have your home thoroughly scouted by professionals to detect any harmful substances and remove them. Another common issue amongst most UK homeowners, your guttering and drainage system is to help rainwater escape from the roofing of your home to prevent any damage coming to it. Quite often gutters become blocked by debris such as moss and leaves, this can be removed easily enough, and it only becomes a problem when left for too long as it can break your drainage system or clog it up to the extent that it needs professional help. Aside from leaves and other natural debris animals can also cause issues for your homes drainage system. Birds and mice will next anywhere that is warm and can keep them out of harm’s way, which can be a problem when they start clogging it up with all their leftover food and other debris from their nests. You can have a professional gutter cleaner see to this issue to get your drainage system up and working in no time, because if left then your drainage pipes can become damaged and cause leakage into your home. If your gutter breaks and the water reaches your roof, then it will damage it over time, and you will then need an entirely new roof which can be extremely expensive. Like we just mentioned damage to your roof could occur when there are issues with your homes draining system, the other worst enemy of any home roofing is natures own elements. Over time they can wear down and damage almost anything! High winds can loosen the nails in your roof, leaving it vulnerable during strong winds allowing it to be destroyed by sudden gusts of wind and debris carried by it. Along with the consistent roof traffic you receive from birds and small animals that over time could wear down your roof, you should always carry out regular maintenance checks to make sure that everything is in working order – or you could end up having to replace your roof! As the last thing a home buyer wants is a leaky roof that caused mould and mildew, as they will have to pay the price for it! SO there you have the most common home issues, although some of them are small they can be dangerous or if left for an extended period can cost you’re a considerable amount of money! So make sure that you carry out regular home maintenance checks to avoid any surprise damage costs. If you’re looking for home conversions Towcester then Clarkson Builders can provide services that are affordable and of high quality – and we will be more than happy to help with any of the work needed regarding home defects! We hope that this article was helpful! If it was then why not share on social media? How Can Electrical Rewiring Benefit You And Your Home?